The 2018 ASA Five College DataFest is right around the corner. 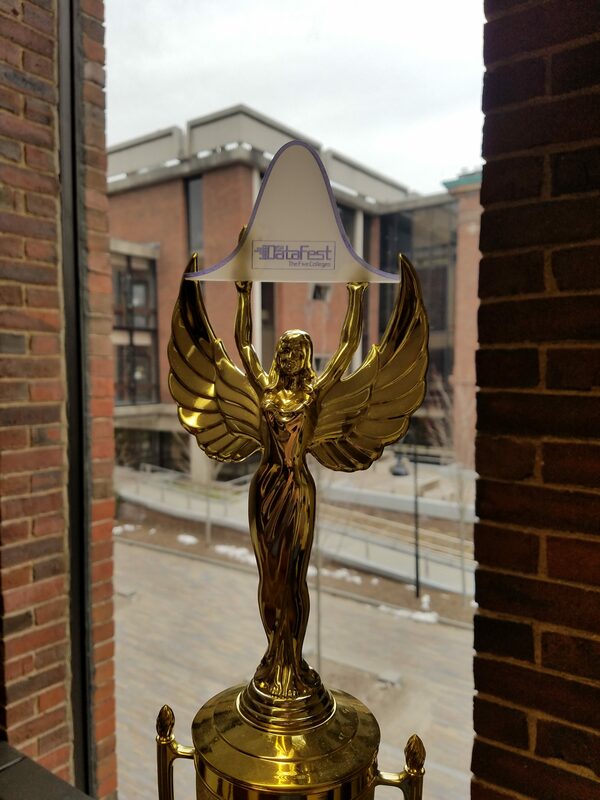 And just in time, our venerable trophy — in addition to a new name plate honoring last year’s winner — has an added new feature that distinguishes her as a data scientist. Thanks to Eric Jensen from the Smith Center for Design and Fabrication for creating this great new feature!